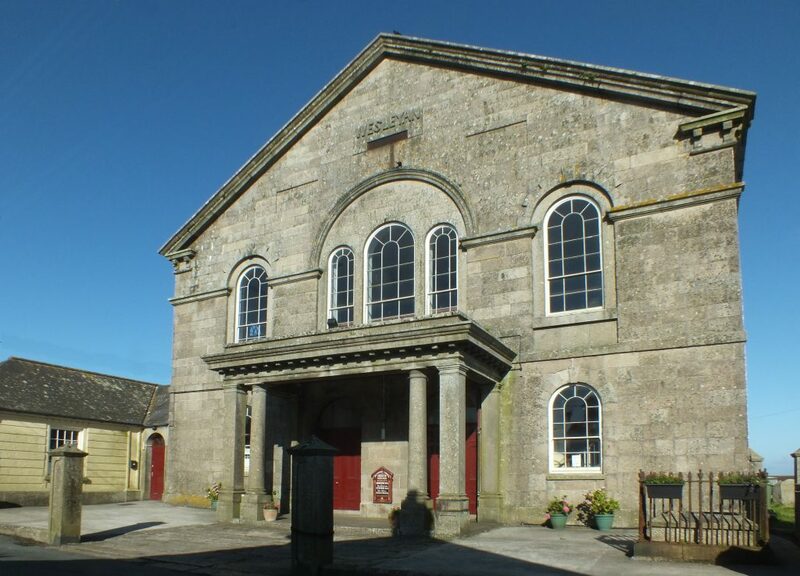 St Just Methodist Chapel family may be small and of mature years (not all) but it is not how they want to remain. It is a very welcoming Chapel and we love to include visitors/friends old and new to all of our activities. People come from far and wide searching for family graves, many having moved abroad when the mining industry collapsed; we are here to help them in this using our Chapel archive. It is realised that we must look outwards and are willing to embrace new ideas and formats. Porridge with Prayers is held on a Wednesday morning from 7.15 to 8am. Our Sunday evening service at 6 pm “Around the Teapot” is an informal time of discussion, questions, views, as well as worship plus tea and biscuits. Breakfasters meet on Monday mornings from 8:30 am. There is involvement with all local schools and nurseries. A Christmas Tree Festival involves over 26 organisations from the Community. We would like to think that the love of God shines out from this congregation and will shine ever brighter in the future.